Click here for all our savory flavors. 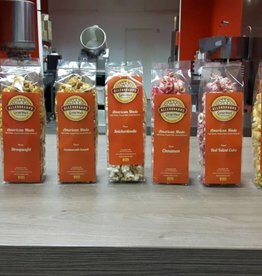 Our variety pack is perfect to sample them all or as a gift! 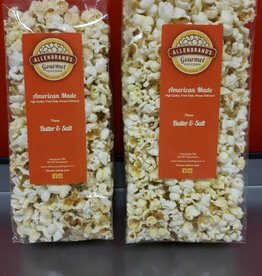 Our freshly made popcorn coated with real Cheddar Cheese! 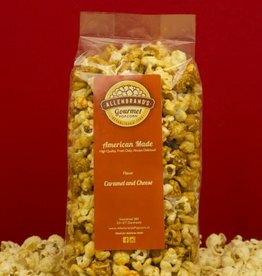 We combine our delicious home made Caramel popcorn with our savory Cheddar Cheese popcorn. Sweet and Savory! A movie night must have! American movie theater popcorn, Butter and Salt. 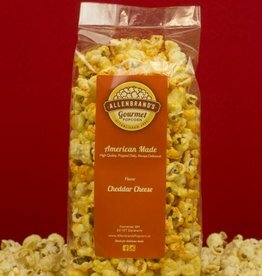 This is a simple flavor that is sure to please the popcorn enthusiast. Made fresh with Butterfly popcorn, butter, and salt. 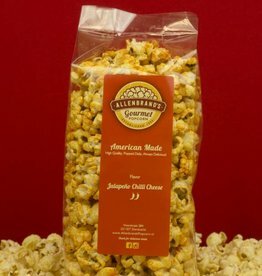 Our Cheddar Cheese popcorn with Allenbrand's special mix of jalapeno and chili flavors added. It has a peppery jalapeno flavor with just a little heat at the end.